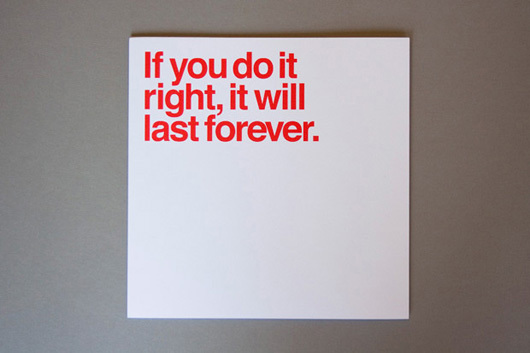 The Five Vignelli-isms | Shelby White - The blog of artist, visual designer and entrepreneur Shelby White. 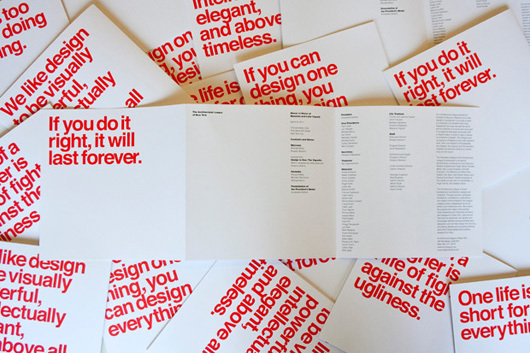 Pentagram’s Michael Bierut, an Architectural League vice president who began his career over 30 years ago as a junior designer at Vignelli Associates, designed the the program we see here. The five different covers featured a quote from Vignelli printed in PMS Super Warm Red and set in Helvetica of course. 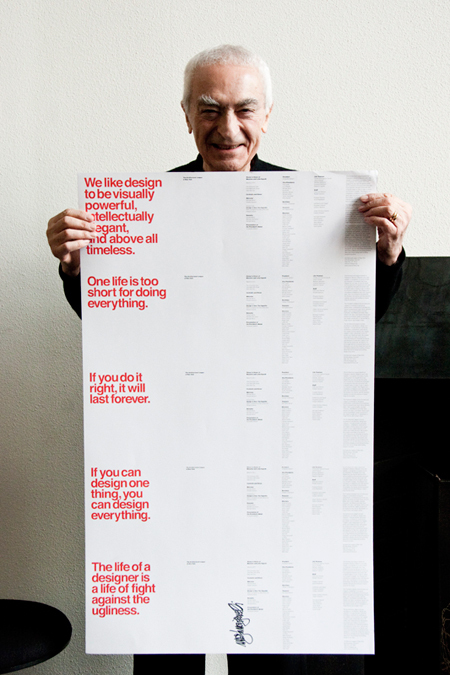 So why are these five Vignelli-isms important? 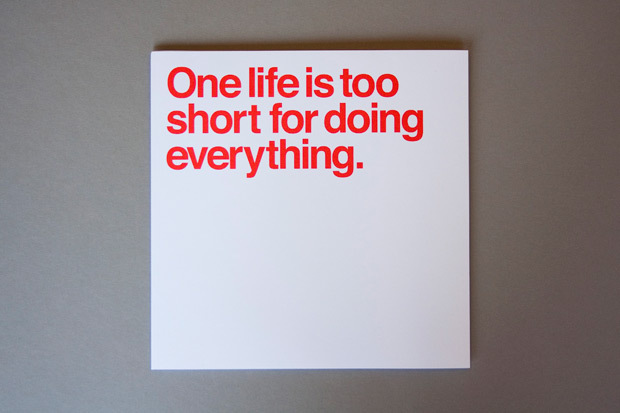 One life is too short for doing everything. 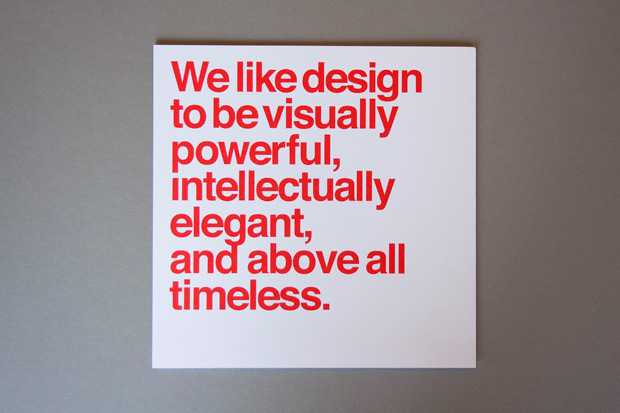 We like design to be visually powerful, intellectually elegant, and above all timeless. 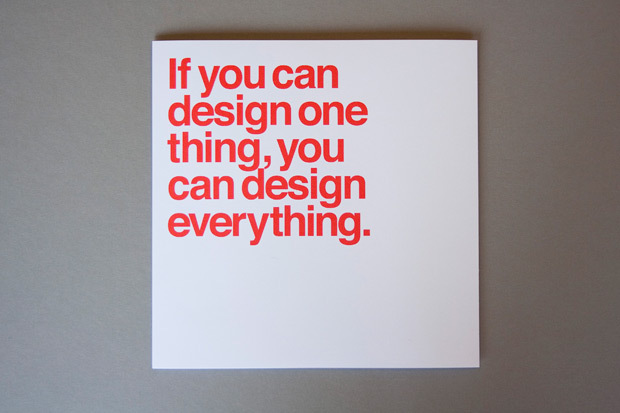 If you can design one thing, you can design everything. The life of a designer is a life of fight against the ugliness. Hit the jump to view each of the covers separately. 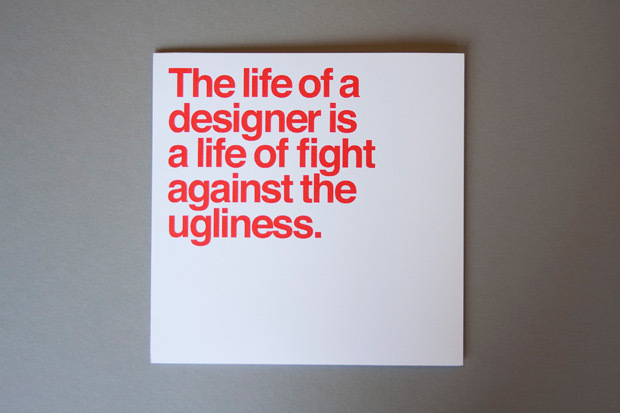 The fight isn’t against ugliness. The fight is against THE ugliness. Sometimes I regret learning about visual design. The majority of signs have never heard of kerning. It’s like hearing noise all the time. But you see it. And it’s so loud.